Dr. 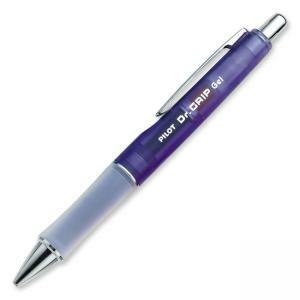 Grip gel retractable pen uses the popular G2 ink refill and a stress-relieving design to assure exceptionally smooth writing. The dynamic gel ink is water-resistant and smearproof for all your writing needs. Wide contoured grip actually reduces required gripping effort, relieving stress and alleviating writing fatigue. Grip is made of latex-free rubber. Great for students, office workers or anyone who writes a lot. Commended for ease-of-use by the Arthritis Foundation. Retractable, so no cap to lose. Refillable.